Born Feab Smith Williams in Mobile, Alabama on January 25, 1897, Godfrey adopted his ring name as a tribute to George (Old Chocolate) Godfrey. He began boxing while serving in the military during WWI. After resigning from the service, he relocated to Chicago. In the “Windy City” he was taken under the tutelage of Sam Langford and Jack Blackburn and turned pro in 1919. An imposing figure, the 6'3”, 240-pound fighter was gifted with tremendous hand and foot speed. 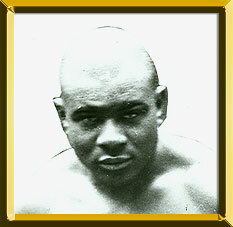 Godfrey also gained valuable experience as a sparring partner for Jack Dempsey. His fistic prowess made him extremely popular with fight fans, selling out arenas across the country such as the Olympic in Los Angeles. During his 18 year career Godfrey boxed throughout the US and across the globe including Belgium, Sweden, France and Romania. He registered wins over Jack Renault, Jim Maloney, Paolino Uzcudun, and Tiger Jack Fox among others. The combination of his obvious skill in the ring and the color line outside of it, Godfrey was avoided throughout much of his career. Although he never challenged for the world title, he did capture the Mexican and IBU heavyweight titles. Godfrey retired in 1937 with a 97-20-3 (80 KOs) record. He died August 13, 1947.